Travel to Australia is to be made easier for young people seeking to work during their Down Under vacation. Travel to Australia is the aim of many young people and Australia’s biggest market for working holiday makers is the UK. Now the Aussie government and Tourism Australia are seeking to encourage greater numbers of working holiday makers after many were scared off by proposed changes to tax and visa rules. The government has since back-tracked on its’ plans and hopes that changes will generate more young people to visit and work in Australia. “With recent changes announced to the program, a working holiday in Australia is now easier and affordable,” said Steven Ciobo, Australia’s Minister for Trade, Tourism & Investment. “Australia offers working holiday makers the highest after tax wages compared to competitor countries like Canada and New Zealand”. Introducing more flexible visa arrangements to benefit working holiday makers and industry. “Australia is one of the most diverse, welcoming and beautiful countries on the planet,” said John O’Sullivan, Managing Director Tourism Australia. 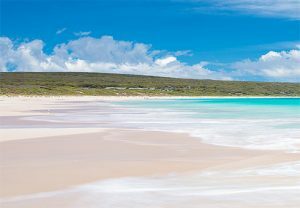 Tourism Australia’s online campaign in the UK and five other key markets will build over the next six to 12 months, to continue to encourage working holiday makers Down Under. Tourism Western Australia will also be working to encourage young Brits to visit Perth and experience the many wonders of Western Australia. Australia welcomed around 200,000 British youth visitors over the past 12 months, including 60,000 working holiday makers who spent a total of A$1.4 billion.